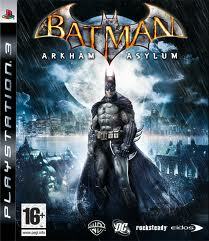 I recently borrowed “Arkham Asylum” and “Arkham City” for the PS3 from a certain Carter Harrell. Together the games present a story line that every superhero fan can connect to, as gamers are called to put on a cape, dress in black, use an array of gadgets and defend the people of Gotham and Arkaham City and play the part of Batman. The game presents a very comic feel. Unlike the movies where villains have been shaped to appear more realistic (Bane in the last installment of the movie franchise), the game presents Batman and his enemies on how they were originally created for DC comics. The game also presents its own unique story with Batman fighting the likes of Joker, Bane and Scarecrow in both Arkham Island, a city off shore of Gotham and the city itself. With large cityscapes and a large interactive environment the games present a fun place to explore or just to waste time gliding from one building to another. However, the game is from a third-person point of view, so you control Batman’s running, crouching, gliding and fighting, rather than actually playing as the character through a 1st person view. But the game does make up for this with Batman’s clever stealth and detective skills and his sophisticated gadgets like smoke pellets, freeze grenades batarangs, explosive gel and a bat claw grapple hook which keeps the game very entertaining. As I began to play the games, I really enjoyed playing through both story modes, but I did find that the game overall became very repetitive. With the usual fighting of minions before you take on the main villain gets boring and the plot becomes very predictable. I also found that the game packed in as many bad guys as it could, and you find yourself constantly fighting through the story mode. I found that the developers could have incorporated different types of missions to spice up the game play, rather than just mindless violence. I also found that game was not very fluid, as Batman’s movements were very stiff and just walking around felt like a chore. On the up side, engaging with enemy characters was very fun, and with Batman’s huge list of combo moves and the use of multipliers, you look pretty good beating up bad guys. I also really liked the upgrade feature that came with the game as earning XP can be used to upgrade gadgets, add to Batman’s combat arsenal or even strengthen his suit. I also like the stealth factor of the game as sneaking around enemies gave me little adrenaline rushes and the nice detective mode in batman’s crow does help you out when you get stuck playing the game. The game’s graphics are nice and sharp- buildings and the overall landscape of the game are pretty flawless, the character imaging was also quite nice and it had a nice comic book feel with characters having huge upper bodies and shorter lower bodies. They look like 3-D versions of their comic art selves. Overall, the game is very enjoyable to play, and taking on the role of Batman overshadowed many of the flaws that were found in the game. The only main complaint I would have is the obvious repetition of the game, but once you get over that factor the game becomes very addicting and with the game’s huge story line, I spent hours having fun playing through it. I recommend it to all superhero fans and game junkies. This World We Live In: Gay Marriage-A Human Right or a Moral Evil?